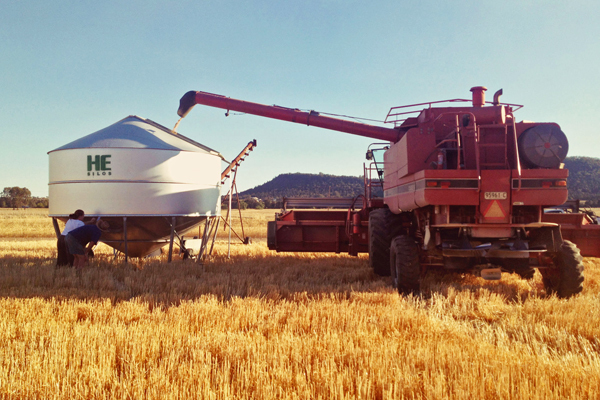 Throughout the years, we have remained committed to providing customers with leading edge grain storage technology. Our silos continue to allow farmers and commercial operators to maintain their grain at the best possible quality with a minimum of fuss. 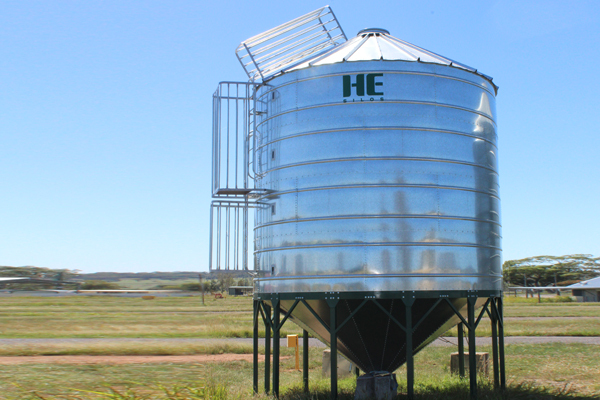 From remote opening lids to fan forced fumigation and aeration systems, HE Silos offers the complete silo package at an affordable price. 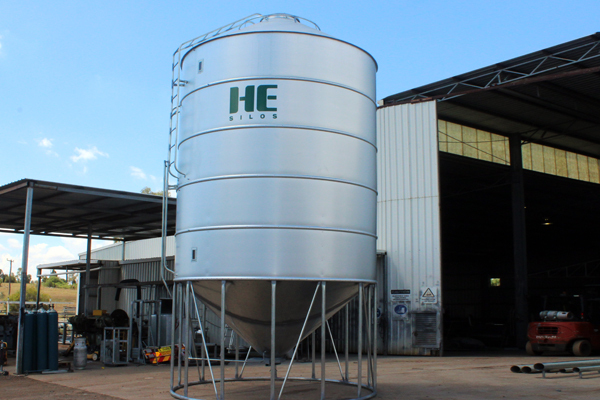 HE Silos has been manufacturing silos since 1969, as a result we have a large understanding of our clients requirements and needs. 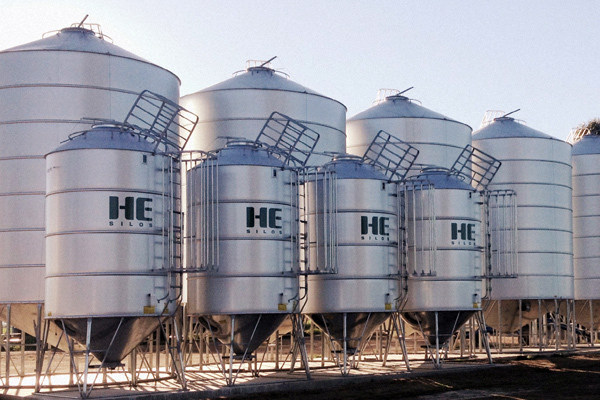 At HE Silos our livelihood depends upon our ability to provide a premium product at an affordable price. 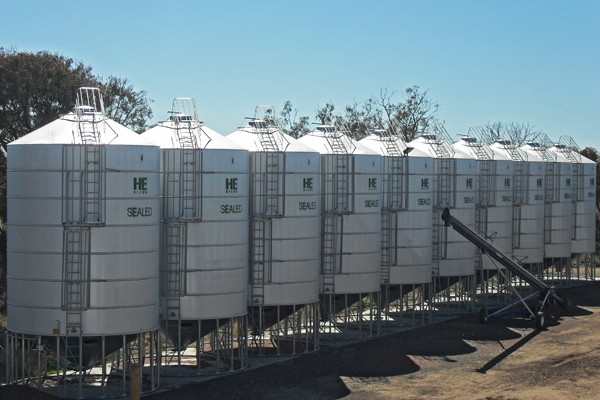 All Silos manufactured in our Gunnedah and Forbes branches are made from the highest grade galvanized steel. 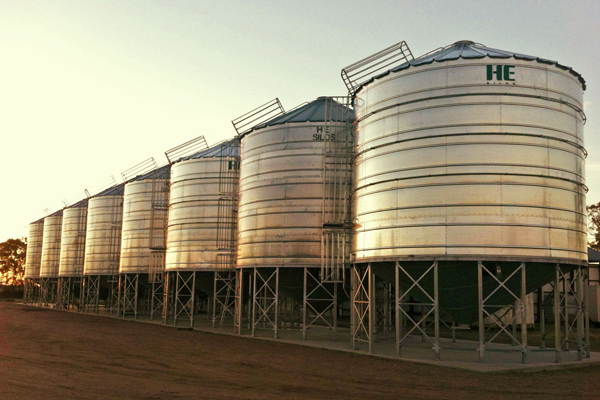 Boasting an all gal base and Zincalume walls and roof, our silos are built to stand the test of time. 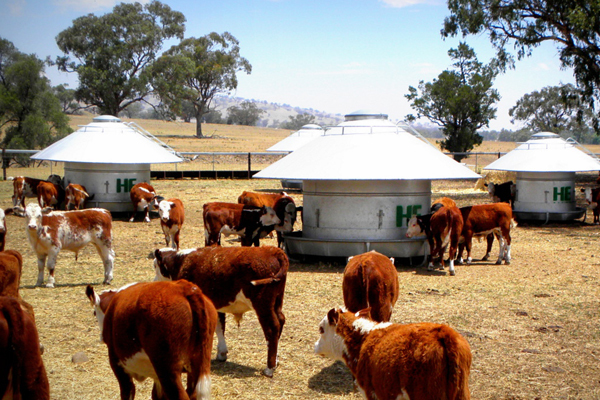 If you’re looking for something you don’t see here, or want something built to your exact specifications, HE Silos can look after you. Our custom designs have catered to Bakeries, Olive pulp mills, schools and many more industries along the way. 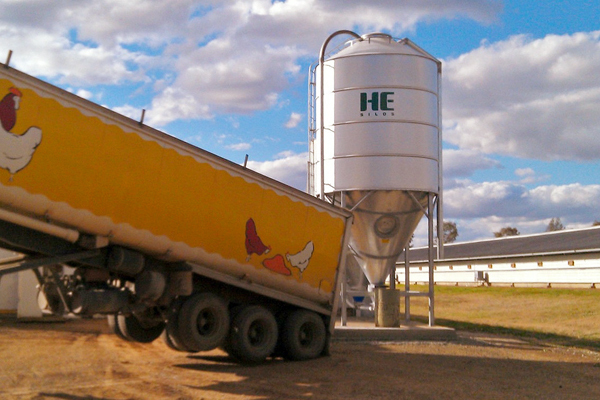 HE Silos is dedicated to provide safe silos to our clients. 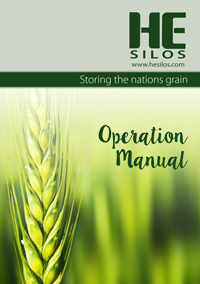 We provide all our clients with an operating manual which outlines the importance of safety when using our silos. Our ladder and cage systems were designed in close consultation with WorkCover and Australian Standard AS1657. This gives domestic and commercial operators the peace of mind required when working at heights. The use of safety harnesses is also vital when utilising the ladder system.